Time for a post! 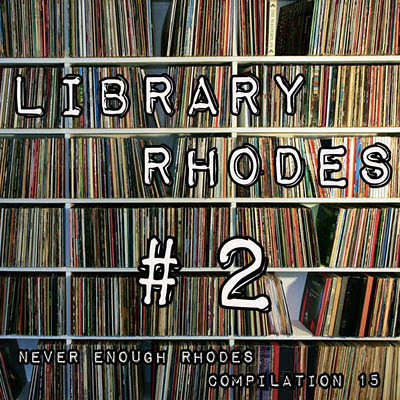 This is a sequel to my 2010 "Library Rhodes" compilation which people seemed to enjoy. So once again, here's another electric piano journey through the library production music archives from the 1970s, drawing on labels like KPM, Bruton, Amphonic, Montparnasse, Bosworth, Impulse, Major, and Themes International. Link is in the comments, hope you enjoy this one. Covers are higher quality in the download. Also, more rhodes compilations here. 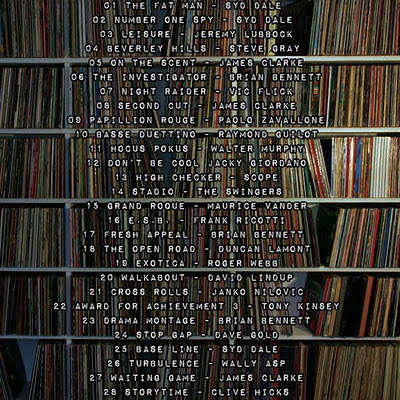 Ooo ... what a nice post-Christmas present, a long long list of people I've never heard of before (mostly) playing a music I really really dig, what could be better? Hi mate, good to see you back in bizness! blimey, a new post, getting as bad as me lol ! This looks great! Nice to see you "back on the airwaves" again - love your blog. Happy holidays! From a sneaky preview this sounds really good. Happy holidays to you Simon...I haven't listened to the selection yet but I trust your ear for quality. All the best in 2012! What a surprise, great to see you back! Beautiful, just like the previous compilation. Thanks, Simon! take care out there and have one on my behalve, cheers! This is a great mix. Thanks so much. Where do you find so much great music I've never heard, I ask rhetorically. There's no problem with the long lapses between new comps. It's always worth the wait. Look at all these comments, aren't you a popular boy! And for good reason, great composers and great songs = a great mix. Wonderful! You've outdone yourself with this post, Simon! Thanks very much! Thanks for this great compilation! AGAIN ! You did it again !! Sweet music for sweet persons! As for my taste, James Clarke and Syd Dale stand out. -Not much on James Clarke. Born in Gloucester, England in 1941. -Syd Dale was a British pianist, composer, arranger and conductor. Founder of the Amphonic Music Ltd. label, Dale was primarily a music composer for TV and film in the late 40′s. Syd’s first job was as far removed from the world of music as it is possible to imagine. He started as an apprentice engineer at the confectionery giant Rowntrees, working in their chocolate factory, spending three years designing machines that fitted chocolates into boxes. He was enthralled by the Big Band sounds that were popular at the time (1940s) and, deciding that he wanted to make music his career, spent as much time as possible studying arrangements and listening closely to the Big Bands. In 1945, with the war over, he left Rowntrees and became a member of various local bands including The Squadronaires and played in the style of the famous Ted Heath Big Band. Syd’s role was as pianist and arranger. Raymond Guiot is a french flutist . Tele Music is a french Library label founded by Roger Tokarz in 1968. Those library cats are so creative and prolific, indeed. Sometimes they may forget about the groove just because of their need for fresh diversity but that's alright. For more funky stuff, try his LP "Funky Tramway". There are certainly more like this but I had not time to dig into. If someone can post a discography review, that would help!! 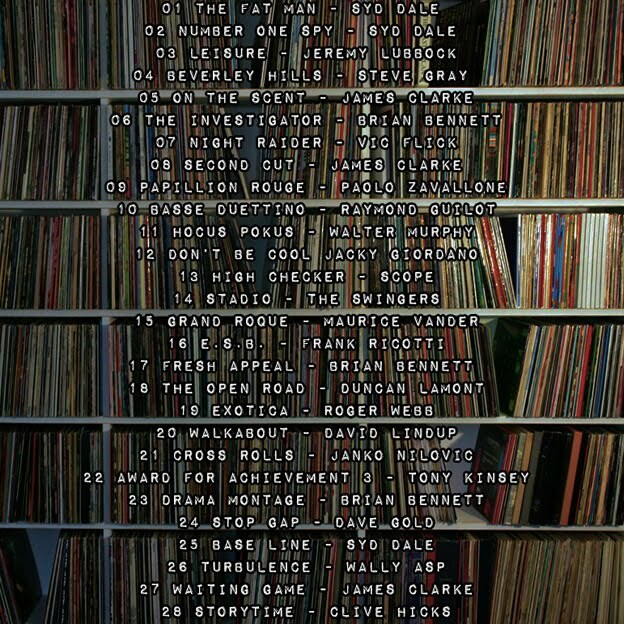 These library compilations are the best ones you put together, in my opinion. They are in constant play, and epitomize that 70's Rhodes vibe that I dig so much. Please tell me there'll be a #3 in the works. Hell, give us a #4, too! Thanks! What do I think? I think I am completely blown away by your compilations. Out of the 9 or so I have downloaded, I think there was one tune that I disliked,Which should tell you EXACTLY what I think of your work here. it's FANTASTIC! Simon, thank you for this refined selection of compositions! Quality stuff. Simon, thanks for this wonderful comp!!!. Incredible work as always, Simon. THANK YOU! RS link is dead, any chance for a re-upload please? No, the link is not dead, try again. thank you. you are a gift. thanks for opening my ears! Thank you very much. Thank you for opening my ears. Your blog is great! This comp meets our approval. Thank you. Just discovered your blog. I'm not sure how I've missed it for this long! Your compilations looks terrific, but so many (...all) of the links appear to be broken. I'm sure I'd be but one of many who would be over the moon if you are ever able to find time to fix those links. In any case, thanks so much for your blog!! The Rapidshare links are working, including the one for this post. Someone made a concerted attack on my mediafire account, making 63 simultaneous complaints, and it was closed down. So, use the rapidshare links. Let me know which of those are dead, and i'll re-up. I have no words to describe how much I like this and your blog! thanks for all the great recommendations a downloads! keep it up! All the comps I've downloaded so far have been really great, thanks man!! oh my days!! el maestro!! i think i lost most of these when my hard drive crashed.. looking forward to rediscovering these! !